Knowing that the fans at your sporting event will be on the edge of their seat—literally—it is important to provide durable quality and yet comfortable seating for them to enjoy the game. Indoor chair seating provides a level of comfort for fans that supports your audience and also enhances your space. Indoor arena chairs are designed with premium materials, durable construction, and rigorous quality control. These sturdy, fixed seating chairs are designed to meet stringent standards for audience safety, durability, and also provide easy maintenance. By choosing indoor arena chairs for all or part of your sports facility, you offer patrons a private viewing experience that is complemented with separating arm rests, flip down seats, and an ergonomically designed single piece seat. They can be installed in a designated section to provide VIP seating for parents, boosters and faculty or along an entire sideline for the home crowd. For more information on how you can add stadium seating to your sports facility, contact Toadvine Enterprises and a member of our team will be glad to give you a quote. Our custom seating is durable, constructed of one-piece injection molded high strength polyethlene and molded-in solid color which will not fade or wear out. Each seat is 18" wide and anatomically-contoured to provide a minimum adult seat height of 16 1/2" to achieve greater spectator comfort and more leg room. The modular design delineates each seat space and allows for ease of replacement. These seats are easy to clean, with no debris traps or exposed hardware. Click here for a bleacher quote, or if you would like us to contact you to discuss bleacher seating or team color integration in your sports facility. If your school is thinking about installing new stadium seating for its outdoor facility, what are some of the factors that determine the quality and overall type of seating to purchase? Price will definitely come into play in your decision making process, but what about quality, reliability, structural support, and all of the other details that go into building and installing outdoor stadium seats? 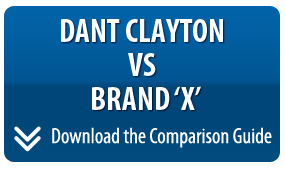 Dant Clayton has put together a comparison guide that lays out their product vs. other products on the market. The purpose of the comparison is to present the two basic systems that are available for permanent grandstand projects. The two aluminum decking systems in this guide are very, very different in design and performance. You can download the guide for free on our website and use it as a reference when you start to consider new seating for your facility. Contact Toadvine Enterprises with questions regarding your next seating project. Can you believe it’s almost time for basketball season? While most of the college programs had their midnight madness a few Fridays ago, high school teams are practicing hard and gearing up for the season. 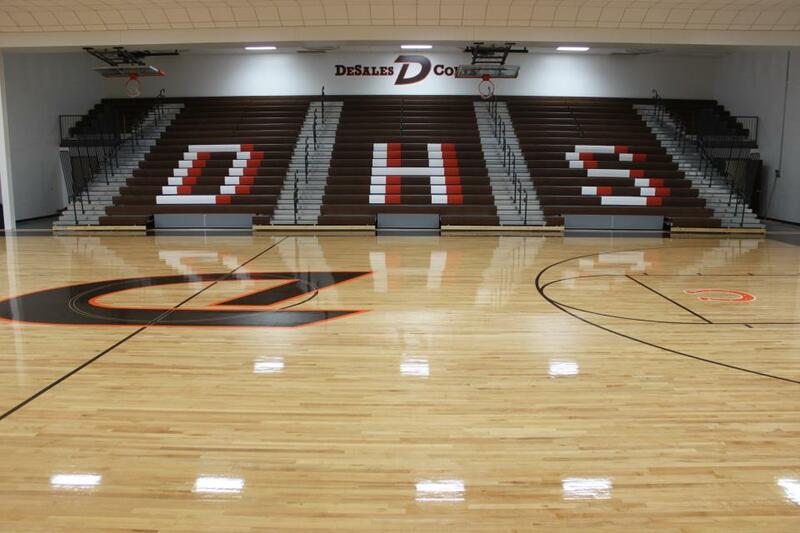 Speaking of basketball season, how’s your gym looking? Basketball season is the time when gymnasiums—and bleachers especially—see the most traffic, and wear and tear. Fans pack the stands for both boys’ and girls’ games each week, so it’s crucial that your bleachers are in good condition. If you think it’s time to get your bleachers inspected before the season officially begins, check out Vine & Branch, our maintenance division. Our maintenance and safety inspection program handles all of your indoor and outdoor seating and equipment inspections. Vine & Branch is also fully staffed with manufacturer-certified service technicians to ensure the safety of your seating. You can fill out the maintenance form on our website to learn more and get the process started. Need new bleachers entirely? We can help with that too. We just completed a bleacher installation at DeSales High School in Louisville, KY. This was a very large job, with three separate banks of bleachers. Whether your project is large like this or smaller, contact us for a quote or to get the process started. What’s happening: KASA is the state’s largest gathering of school district leaders, including superintendents; assistant superintendents; directors of special education, finance, pupil personnel, food service, communications, curriculum and assessment; principals; assistant principals; counselors; and other public education leaders. What’s happening: The KSPMA annual convention is held each fall. See the newest equipment and materials, discuss common problems and others in your field from areas throughout the nation, receive the latest information on pertinent topics from professionals, enjoy a variety of social activities with friends, old and new. What’s happening: Show your support for local parks departments as well as for the quality of life for the residents of ones community. Are your bleachers looking old or dirty? Do they have problems going in and out? Are they safe and secure? If you answered no to any of these three questions, your bleachers may imply a safety risk to spectators. The school year is ending and summer is the perfect time to look at Toadvine/Vine & Branch bleacher maintenance, cleaning, and renovation services. 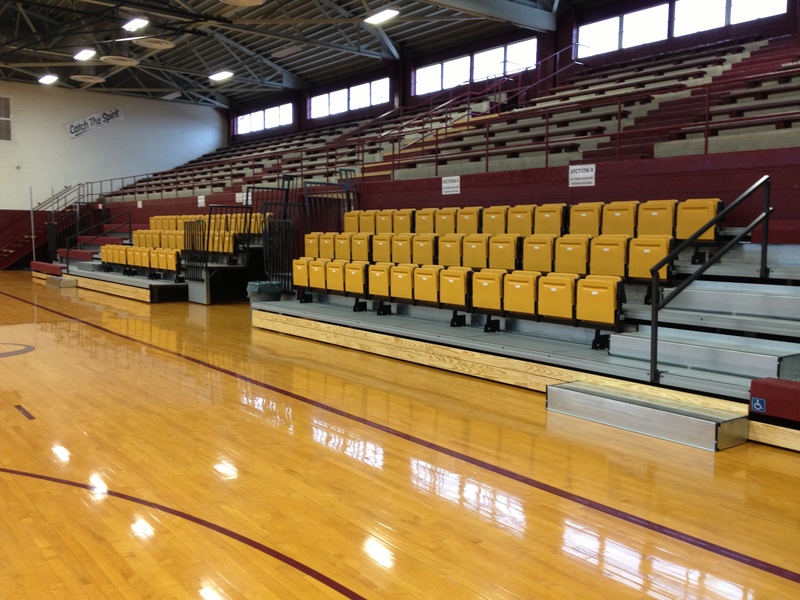 Fill out the small form to have a bleacher maintenance professional give you a call. The NFPA guidelines require all bleachers to be maintained by someone who is a certified bleacher technician. Toadvine employees multiple technicians to help service your bleachers and make any necessary recommendations to keep your bleachers in a safe operating manner. After each bleacher maintenance and inspection, our sales rep will give you a written report of the problems you may or may not have. This report, which shows your bleachers have been inspected by a certified technician, can be turned in to your insurance company and can help you save money on your insurance costs. Want to find out more ways Toadvine has helped save people money on insurance for their sports complex? Give us a call at 502-241-6010 and ask for one of our representatives Don’t believe us? Call your local insurance provider to see how certain products can help you save money on your insurance. Students are gone for the summer and gym use is down to the minimum, call Toadvine today to schedule your maintenance contract before school starts back in August. Summer slots are filling up, call now. In recent months, our business has grown. It became apparent to us that our web presence wasn’t what it should be. We wanted our customers to be able to find us easily online and connect with us in a variety of different ways. We also wanted to be able to provide the kind of information you’re searching for on the web. 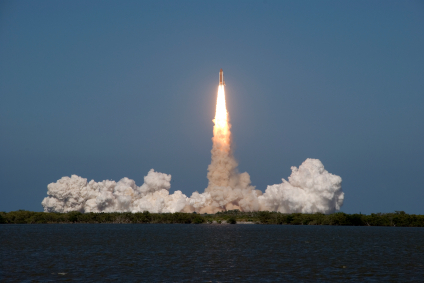 In order to accomplish these things, we’ve launched a new website. This site is interactive and will hopefully provide a better online experience for our visitors. Regular blog posts covering new happenings at Toadvine and industry-related news. Videos, interviews, and other media that will help you get to know us on a more personal level. Other ways to connect online, like links to our social media accounts. 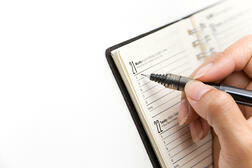 The ability to sign up for our monthly newsletter or subscribe via RSS feeds. Easy-to-navigate pages and links to vendors. More online content for education and enjoyment purposes. Thanks for checking out our new site. If you have any questions or if there’s a certain topic you would like to see covered on our blog, you can submit comments through our online form. Let us know what you think!